Landlords of student properties are being advised to consider getting out of the sector, after the introduction of tuition fees has meant that far fewer students are looking for rental accommodation for next year. Carolin Kavanagh, pictured, managing director of Townends Lettings & Management, said this was one option for landlords to consider. She said they could sell up and replace it with the type of property that would appeal to a different market. She has warned that traditional student landlords are facing lengthy void periods, chasing a market that has had to draw in its horns. Townends operates across the southern home counties where expensive rental areas such as Guildford and Egham are home to the University of Surrey and Royal Holloway, both of which are charging students the maximum £9,000 tuition fee. September marked the start of hikes in tuition fees. Heading towards the New Year, when students typically start looking for their second-year accommodation, Townends says there has been a noticeable impact on the student rental market, and landlords will have to make changes if they want to avoid lengthy void periods. She said that the real impact of this will not hit student landlords until September 2013, as most will have secured tenants for this academic year back in January. With demand looking set to be much lower than usual for next year, Kavanagh said landlords should be considering their options. (1) Set a timeframe by which you are prepared to market your property to students during the prime letting period in the New Year. 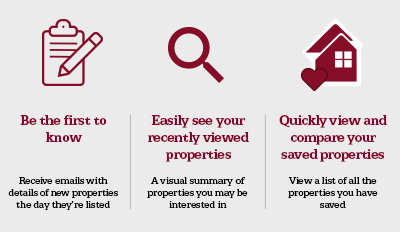 If your property is still vacant, consider other options for your property. (2) Consider renovating the property to bring it up to the standard of a professional let which would give it wider appeal to the likes of families, young couples or professional sharers. The existing condition of student properties rarely entices the average tenant. (3) Renovate the property to appeal to international students who are less affected by the increase in tuition fees and still prepared to pay premium rents as long as the property is of high specification and within close proximity to the university. (4) Consider selling the property and using the money to purchase an alternative buy-to-let investment with greater appeal such as a modern, purpose-built two-bedroom apartment.